Sydney : India were at 389/5 at lunch on second day of the fourth test against Australia here on Friday. Cheteshwar Pujara (181 runs in 332 balls) and Rishabh Pant (27) were at the crease when umpires called for the break. 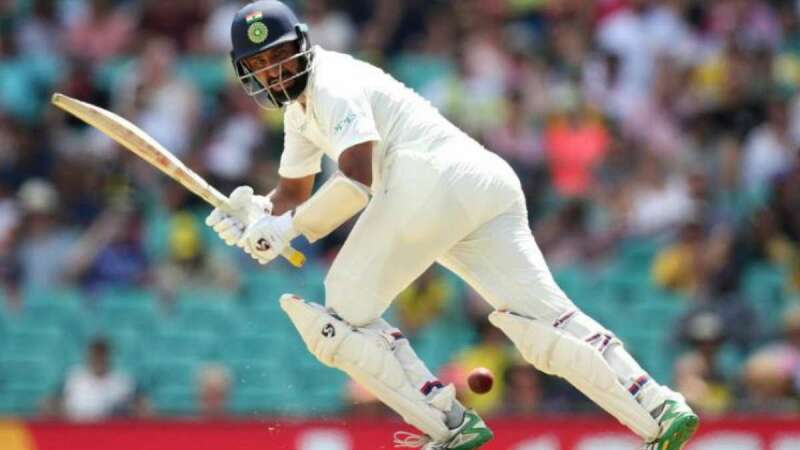 Starting the day with overnight score of 303/4, Pujara and Hanuma vihari (42) could only managed to add 26 runs to the total as Vihari was dismissed when scoreboard was reading 329. Vihari played 96 balls before being dismissed by spinner Nathan Lyon in 102nd over. The fall of wicket brought in Pant. Pujara and Pant then played sensibly throughout the first session and made sure that they don't lose their wickets. In the process, the duo played some beautifully crafted shots. For Australia, Lyon was the only wicket taker in the session.